Naberezhnye Chelny — a large and modern city, formed around the Soviet time Kama Machine-Building Plant. Tourists rarely drop in here, but those who come to the city on business will have a good time, including from a gastronomic point of view. One of the weekend of June in Naberezhnye Chelny passes Sabantuy. 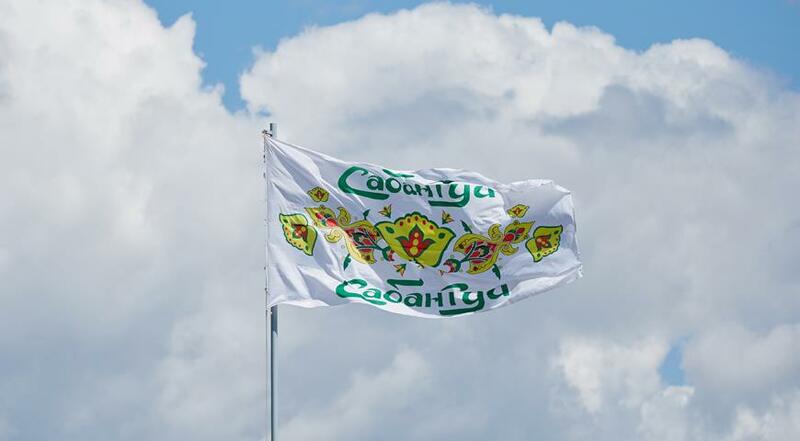 This holiday is not attached to a specific date: first, it is celebrated in Tatar villages and small towns, then in Naberezhnye Chelny and other large cities of Tatarstan, then in Kazan, after which it is sent to Moscow. 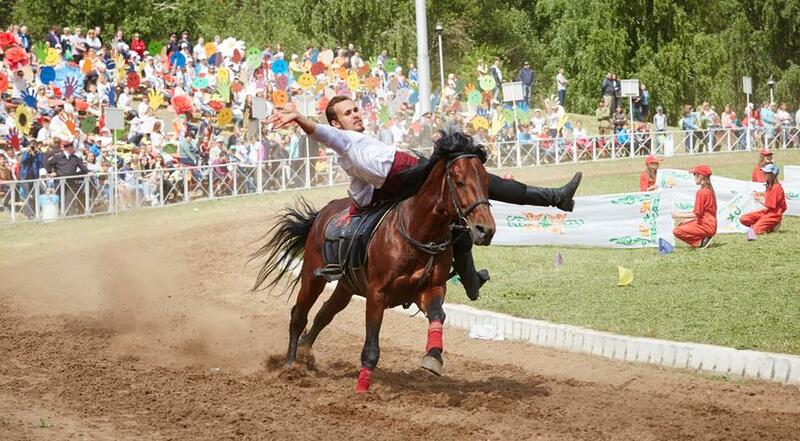 Place actions Chelny Sabantui — Maidan Park Coastal and hippodrome. 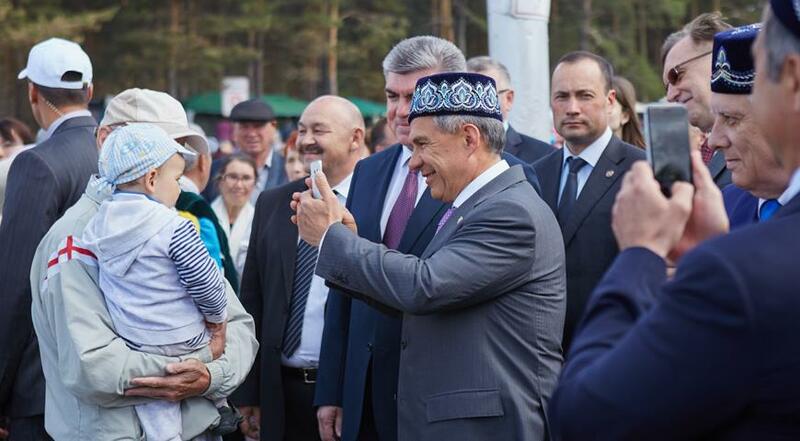 Officials are met on the Independence (in 2015, for example, Rustam Minnikhanov, the acting president of Tatarstan, granted the holiday), a solemn part, a concert and all traditional and non-traditional sports competitions take place on the racetrack. Sabantuy — first of all, a spectacle; The holiday has no “official” gastronomic component (that is, obligatory pies or meat dishes). At the venue of Sabantuy, a multimeter vertical smoothly polished log is necessarily installed, on which craftsmen will climb without special equipment (and someone will surely climb). Two more pillars are driven in so that they stick out about a meter and a half from the ground, and a smooth log is fastened to them with staples; good fellows on it are beating each other with dusty bags, who will throw someone off first. There is another log dug into the ground so that one part of it protrudes under fifteen degrees to the ground; on this post you just have to run to the very end. Some craftsmen can turn around and walk back. For Naberezhnye Chelny Round table — an aristocratic institution and (by local standards) expensive. A visitor in a T-shirt and shorts will feel uncomfortable here. This is a restaurant focused on high European cuisine, but it doesn’t shy away from either fusion or Russian cuisine. There is no Tatar cuisine in the restaurant. The menu includes soups, pasta, numerous meat dishes (including those cooked on the grill). A very rich menu of desserts and pastries; everything is baked only in the kitchen of the restaurant. The round table is located in the hotel building. 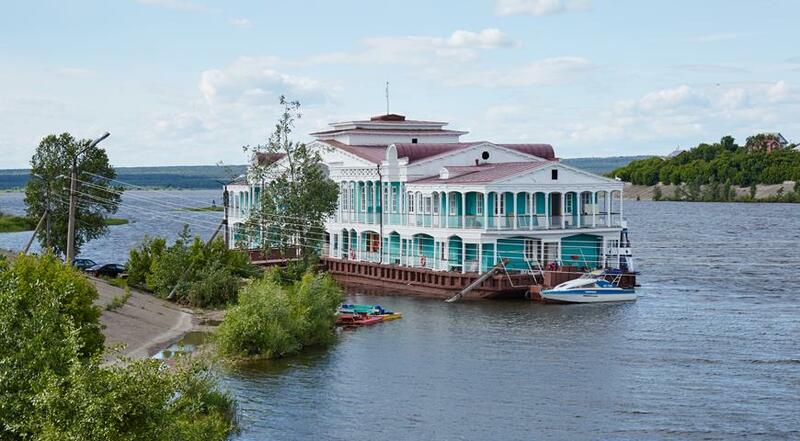 Tatarstan — one of the main hotels of the city. 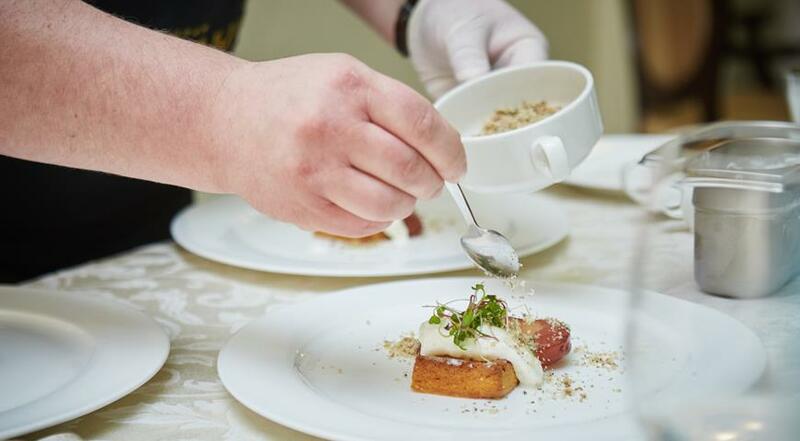 There are often representatives of the business elite; the restaurant team serves at official events the administration of the President of Tatarstan; Finally, it is here that the most luxurious banquets are held in the city. 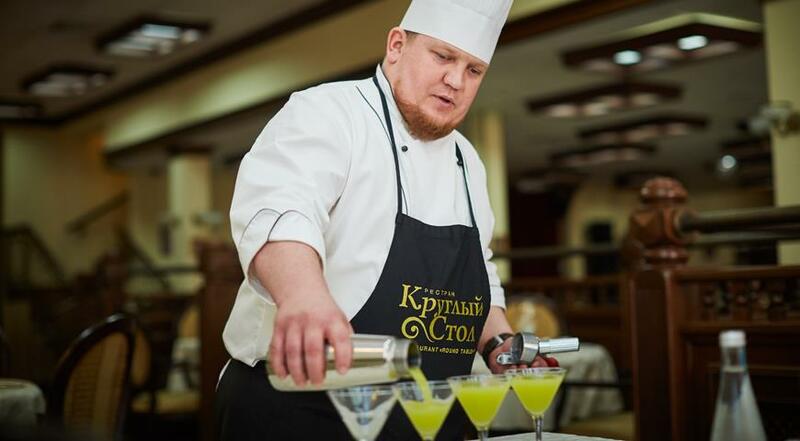 As reported on the site of the institution, it is the only restaurant of the class «Lux» in Naberezhnye Chelny. 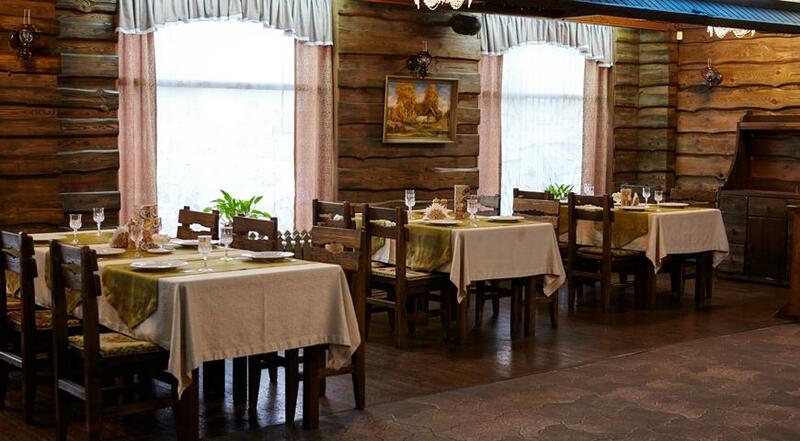 This is the best restaurant of traditional Tatar cuisine in Naberezhnye Chelny and one of the best in Tatarstan. Locals often rent restaurant rooms for nikah — Tatar wedding ceremony (with Mullah and without alcohol). In the menu — Tatar soups, meat dishes, snacks. 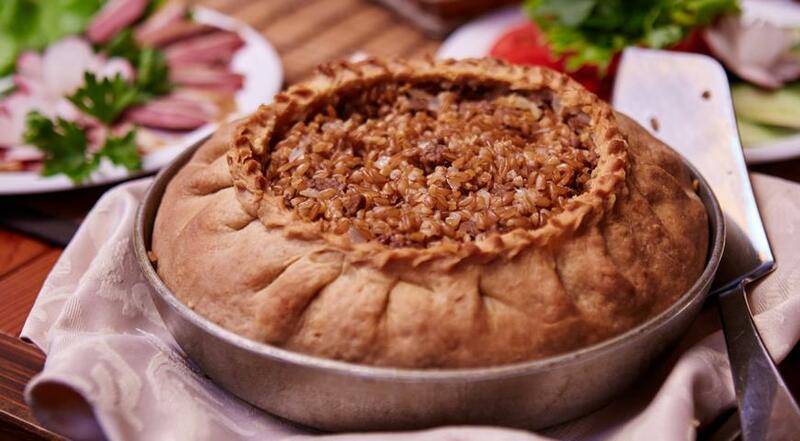 The balish cake is very good, which is served according to Tatar traditions: a separate lid, a separate filling, and then a dough bottom, crisp and well-written with fat. 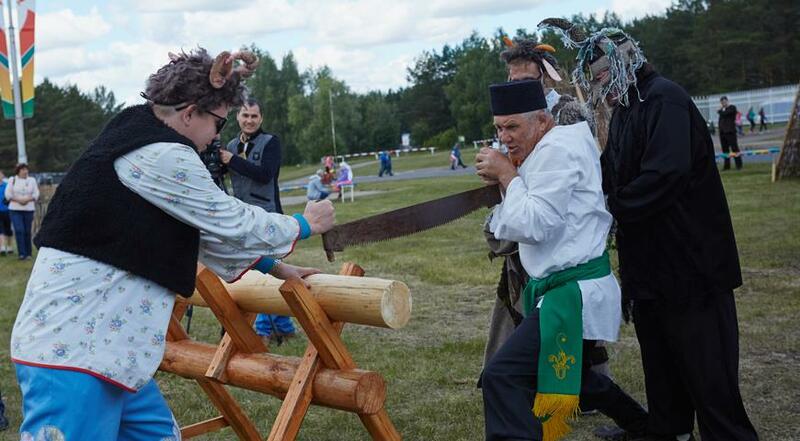 There are not any restaurant positions on the menu: a saucer of a kaimak (in Tatarstan this is a name for very thick cream resembling sour cream) or slicing from a dried goose is a rather expensive local specialty. The interior of the restaurant is calm, unobtrusive, reminiscent of a homely atmosphere: wooden tables and chairs; tree-lined walls — like in a traditional Tatar hut; on towels that adorn the walls of some rooms and rooms — bright traditional embroidery. There is a village well in the middle of the restaurant — sorry, no water. All restaurant staff speak Tatar, Russian and English; You can safely ask the waiter about each dish — how and from what it is cooked. 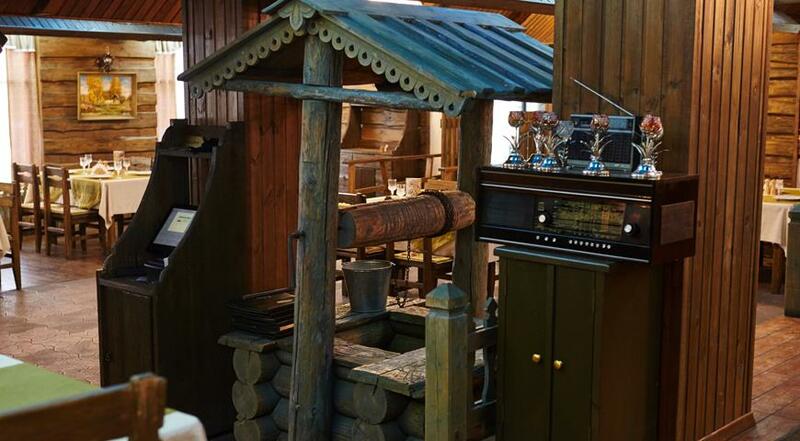 Every evening in the restaurant — live music: Tatar pop and more traditional songs, the sound of national instruments. The rest of the time — the broadcast of local music channels. Tatar variety art is quite specific, but colorful. There are even meat dishes called «St. Bartholomew’s Night» and «Silence of the Lambs», we have not tried them. 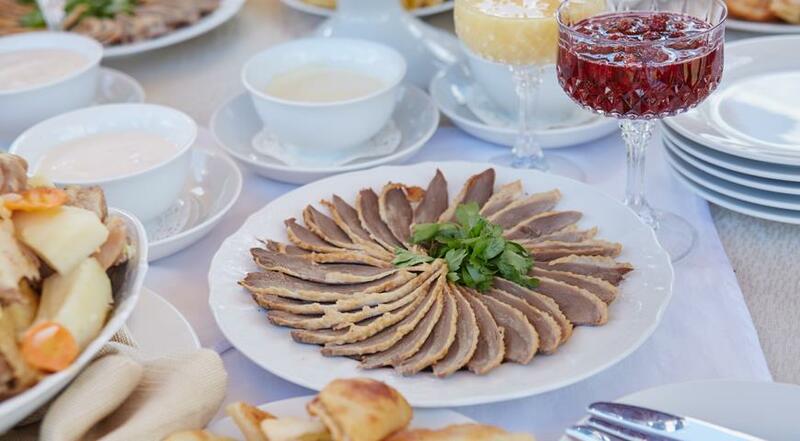 The menu also includes Tatar cuisine, including perfectly cooked belysh and smoked goose. The summer terrace of the restaurant is probably the most beautiful in Chelny, without a view of the city (this is not a minus), covered with greenery and with a large fountain decorated with mosaics. 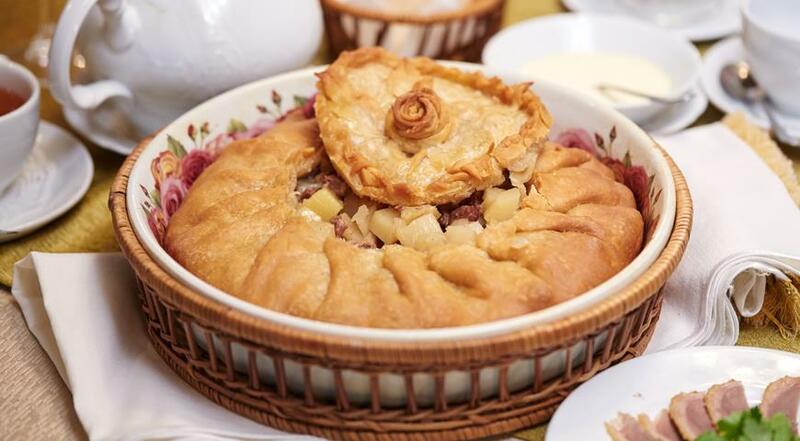 Family Cafe (GastroBistro) Country house — These are well cooked soups, dumplings, pasta, homemade sausages, pizza and an impressive list of pies. 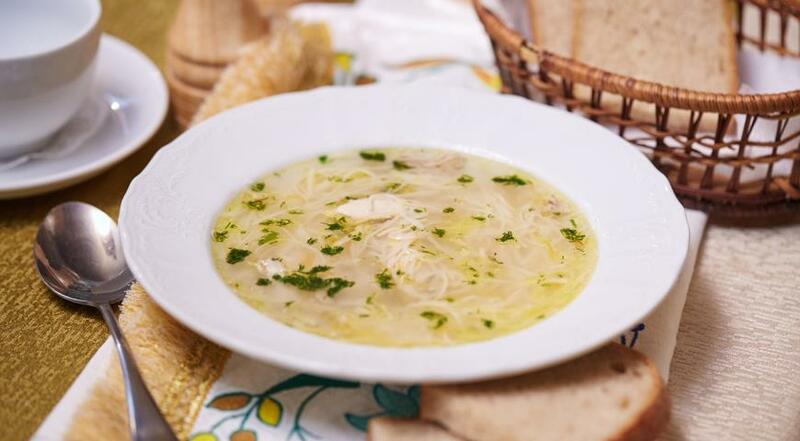 Pies are more Russian than Tatar; Tatar cuisine reminds you of homemade noodles on the soups page. The interior is cozy and moderately modern, the places are comfortable, the room is very bright. The only, but significant, drawback of this cafe is the rather sluggish and inadequate work of the waiters. Even if the waiter came to your table to write down what dessert you want, it does not mean that he is ready to take the empty plates on the table with him. Do not hesitate to tell the waiters to work that they have not done. There is a multi-figured sculptural composition in front of the institution: the parents are still on the other side of the street, while the child has already crossed the road and is climbing the steps of the cafe. It looks non-pedagogical, but original. 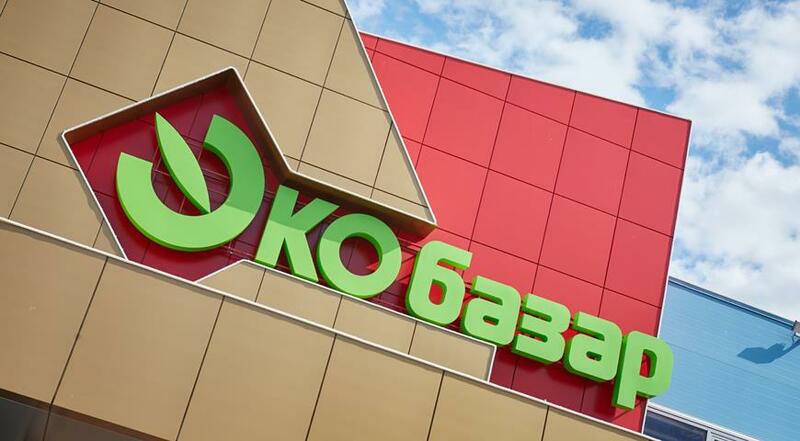 Big supermarket, successful local competitor Bahetle, — company project Chelny Bread, which also owns a chain of stores Chelny Bread in Naberezhnye Chelny and other cities of Tatarstan. 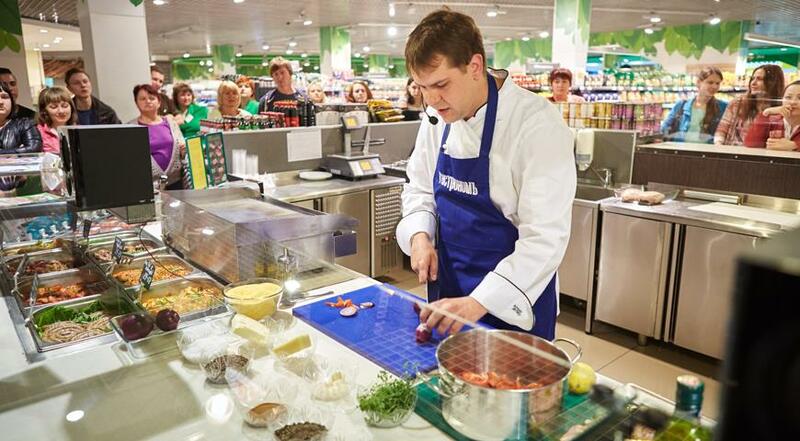 Here in June, held a culinary master class chef Deli Alexey Karpov. 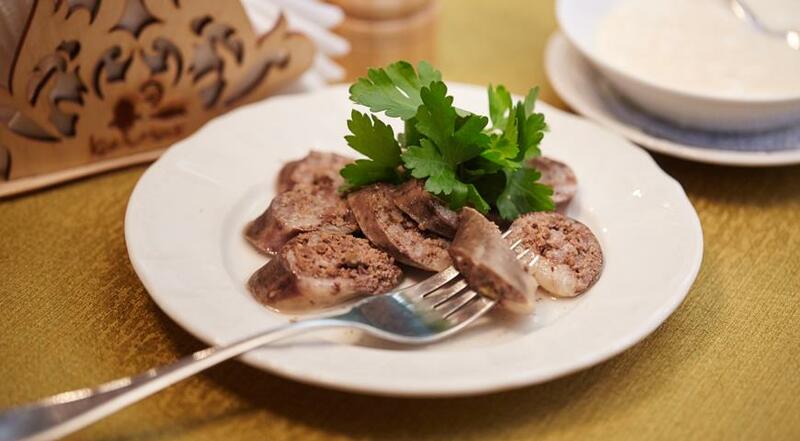 This is one of the places where you should come for gastronomic souvenirs from Tatarstan. They can be their own branded products. Tortugalia, including Chak-Chak and Baursak, other Tatar sweets (sugar Talkysh Kaleve, brushwood Kosh tele), horse sausage Kyzylyk. You can also buy local alcohol — there are 10-12 Tatar names of vodka in the grocery store, some of which are not sold in Moscow, and local herbal balms. All sorts of skullcaps are also sold. It is worth visiting the baking department, which presents the freshest triangle-echpochkami, elongated bekkeny pies, peremyachi (Tatar analogue of Moscow belyash, only tastier), round elesh, big gubadie and belish pies, kystyby pancakes with potato or millet stuffing and, of course, sour cream (aka Kaymak Peremyach) — Tatar cheesecake stuffed with kaymak or sour cream. In the meat department — the freshest meat products that sell under the brand Chelny food. It is a pity that they are difficult to take with them. 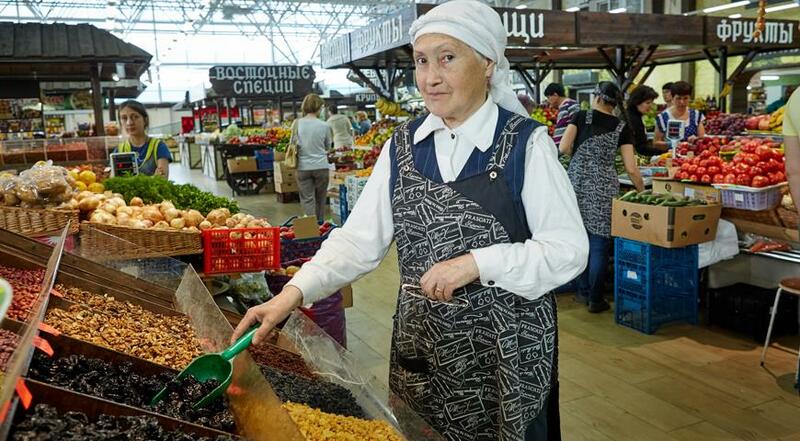 Large and clean indoor market, which opened in 2014 on the site of the old Avtozavodsky market. Most goods are locally produced. 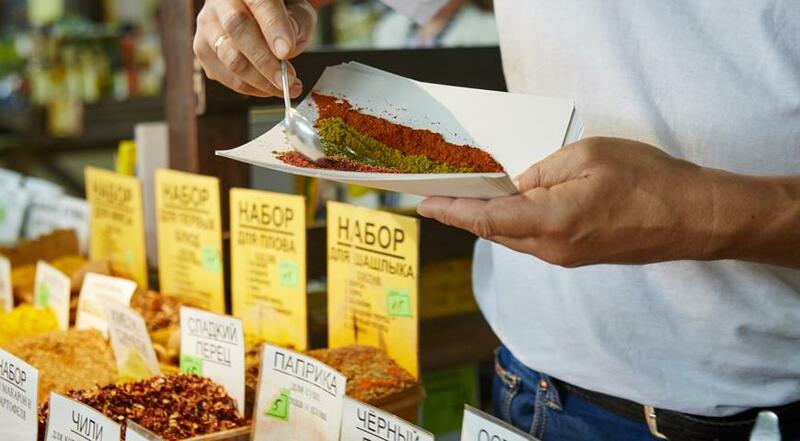 There are several stalls on the market with a huge selection of spices; seasoning for meat, in particular, can mix on your eyes. There are counters with local fresh cheeses. 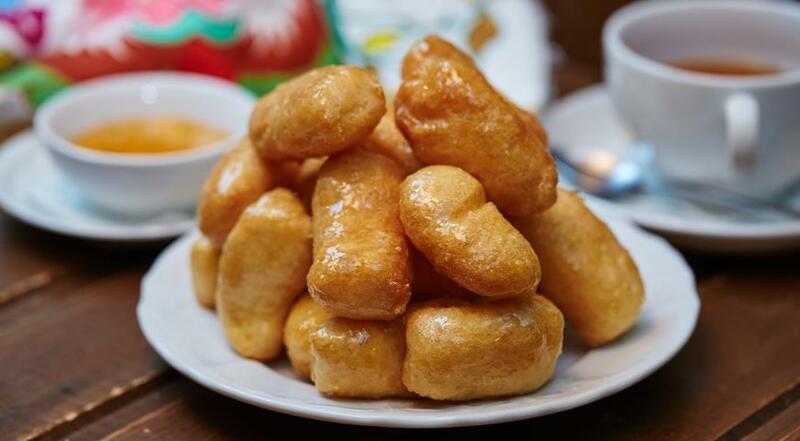 You can, again, buy Tatar sweets — chak-chak, baursak, talkysh kaleve, kosh tel. Baking on the market is not worth buying: this is not the strongest side Eco Bazaar. Traditional Tatarstan tea (black with linden and oregano) is not commercially available, although in general the choice of tea is quite large. 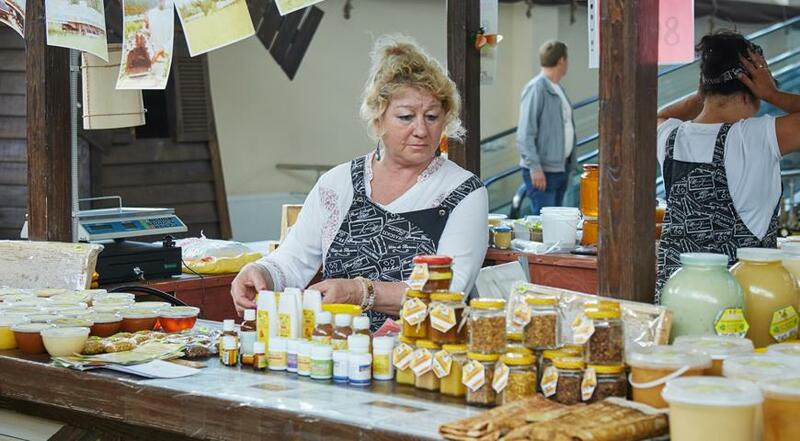 On the day of the visit, Tatar honey could not be found on the market; there was only Bashkir honey. Although in general, local honey is no worse. Nice local chain of coffee shops with invented centuries-old history (do not believe it) and a round brown logo resembling the old logo Starbucks (the same logo in 99% of coffee houses in Russia, this is our common epidemic). There is an impressive selection of coffee (cappuccino, espresso, mocha, latte, glacé, macchiato). In the menu — wrap, soups, pasta, salads, sandwiches, pastries and desserts. The carrot cake in the menu is called “Binharts Cake”, and it is perfectly cooked; thanks to him, this coffee and got into our review. Fly to Naberezhnye Chelny and fly away from the city — through the airport Begishevo, which is located near the neighboring Nizhnekamsk. Pending the aircraft, order a carrot cake in Binharts, you will not regret.